I led the devising process for a new play based on scientific research, mythology, interviews, and stories gathered from over 60 men and women about menstruation. I directed a core ensemble of 10 actors for several months using composition assignments to develop scenes, songs, and dance pieces around themes of birth control, birth, menopause, a woman’s first period, and myths related to menstruation. The piece began in a small black box theatre and the audience was divided and traveled to 2 different public spaces in which performers involved the audience in conversations and musical numbers about menstruation. 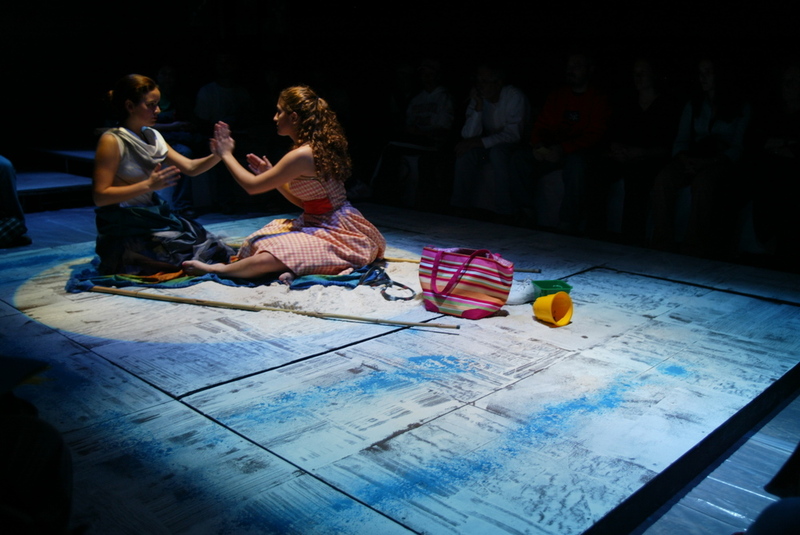 The audience returned to the theatre that had been transformed from the initial seating arrangement to witness a final set of movement scenes. Devised and performed by the ensemble: Jenna Zimmer, Jessi Pierce, Juanisha Brooks, Alana Cooper, Shella Mesa, and Meghann Garmany.